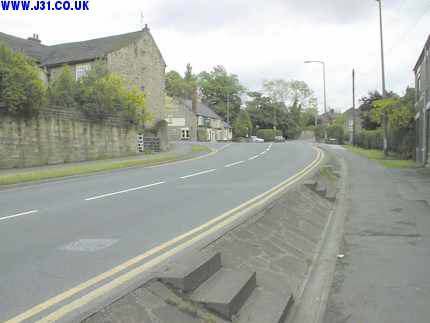 This scene is met when you've just entered Aughton from the Ulley\Treeton crossroads. The Robin Hood public house is on the corner on the other side of the road junction (Aston Lane\Main Street). It acquired the name in about 1865 although it had been an alehouse well before then (it was built in the 1600s). The prominant building to the left of the picture is Aughton Hall.